Holdan Limited has opened a pro-video and broadcast technology distribution centre in Rotterdam. Managed locally and with both demo and warehousing facilities, the newly formed Holdan Benelux BV will offer resellers strategic marketing support, fast product delivery and technical demonstrations. The team will manage the distribution of leading brands including Teradek, SmallHD, Core SWX, Inogeni, SLR Magic, Telestream and Logickeyboard. 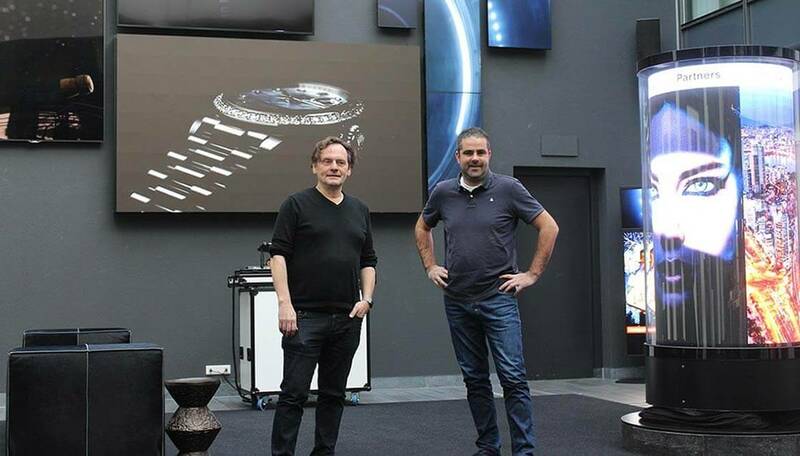 Managed by distribution specialists, General Manager Bas van der Linde and Sales Manager Fons Bakker, the team based in the south of the Netherlands will work with the existing network of professional resellers and develop new business in the AV, film and video sectors. The establishment of Holdan Benelux means that we will be able to offer enhanced service and sales support to resellers in Belgium, Luxemburg and the Netherlands. With the Netherlands being the third largest exporter of TV content in the world and Belgium the fourth largest film producer on the continent, these important markets will now benefit from local backing from our technical specialists. The new facility is part of Holdan Limited’s strategy to offer local customer support and product marketing for the brands it represents. The company’s headquarters, located near Manchester in northern England, will work closely with the Benelux team on pan-European strategies, purchasing, training and service. This will enable the Rotterdam-based division to tap into Holdan’s extensive technical and marketing experience, while focusing on Benelux market development and reseller support. As media now reaches into every part of society, universities, houses of worship, sports organizations, emergency services and businesses are all embracing video technology. We are very excited about the new opportunities this represents to take pro-video technology beyond established markets. The company’s demonstration facilities are available for reseller training, open days and customer presentations. The Holdan Benelux office opens for business in January 2019.